How to save money for Christmas All year Long = Less Stress! Learning how to save money for Christmas can be an exhausting task, that is why I created my 30 days to a debt free Christmas challenge. For years and years, I was stressed out over how to afford Christmas for my kids and my family. It began to steal my joy around the holidays, and it became harder and harder to be happy around November and December. I want you to have joy knowing that next Christmas you will be prepared. Prepared with a realistic Christmas budget, and the cash budget needed to purchase those things. 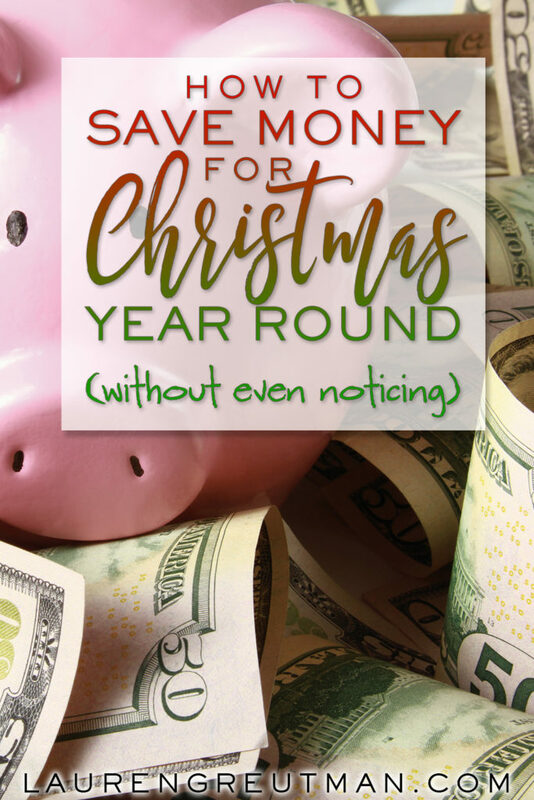 There are so many ways to save up money for Christmas throughout the year, and I want you to NOT be Christmas stressed next year. So let’s talk about some options on how you can do a few things to plan better for next year. 1.) Sign up for SmartyPig. 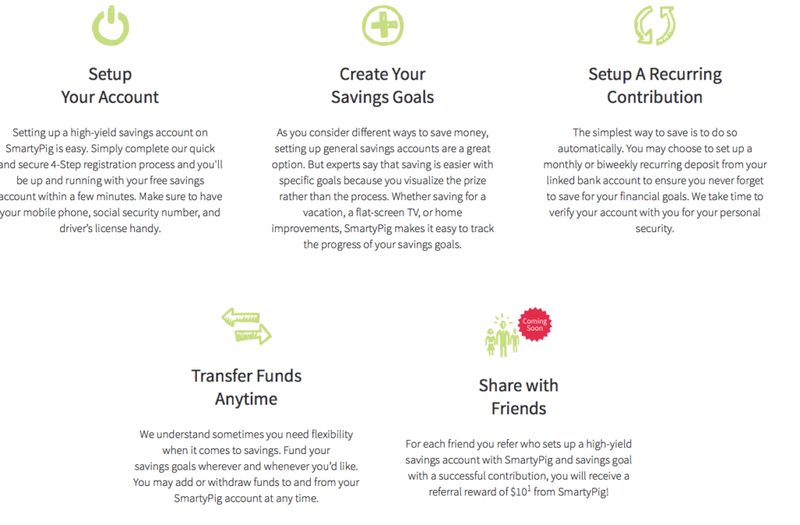 SmartyPig is a free online piggy bank for people that are saving for financial goals like Christmas, vacations, etc. Here is why I like it; you can enjoy interest rates up to 0.90% APY (annual percentage yield). You start out earning 0.80% APY right away with as little as one penny in the account! This is great for folks who are not motivated or having trouble figuring out how to save because you start earning significant interest right away. Another cool benefit of SmartyPig is their Amazon perk. You can purchase an Amazon eCode (gift card) with your SmartyPig savings and get a 3.5% savings. So – if you buy a $500 Amazon gift card using your SmartyPig savings, you only have to pay $483. So – How much should you save? I would recommend saving at least $50 per month into your SmartyPig Account all year long. If you do this for 11 months between January and November by next Christmas you will have $550 plus the interest you earned! And coming soon – you can share with your friends and earn a $10 referral reward for each friend that opens up an account and contributes to it! Stay tuned for details for this; I am VERY excited about this new feature! Step 1: Complete their quick 4-step registration process for your free savings account. Step 2: Create a savings goal. You can set this up for anything you are saving up for. Set a Christmas goal based on last years Christmas spending. Step 3: Contribute to your account. You can easily set up monthly or bi-weekly occurring deposits from a linked bank account. Step 4: Transfer Funds at any time if needed. It’s just that easy! I prefer to automatically deposit into my SmartyPig Account from my checking account every month, then I don’t risk spending it. 2.) Make a list all year long of who to shop for. If you have multiple people that you shop for, make a list of everyone. As you talk with them and hang out during the year, make mental notes of things they say that might indicate a gift that may like. Then look for sale items throughout the year. We have 21 nieces and nephews and we draw names to keep the cost down. This year we are picking names in January using the website DrawNames.com. You can do this by yourself with pen and paper, but this DrawNames.com can track previous years gifts and names, and you can set up wish lists. We draw names by how many kids we have. So – I have 4 kids so I draw 4 names. We set a limit of $20 – $30 on each child (your budget can vary), and now have a plan of attack all year long. Because I know in January who I will buy presents for, I am on the lookout for clearance deals. I can stock up on Halloween costumes for 75% off the week after Halloween (I did this for my 3-year-old niece because I already knew she wanted a couple princess costumes). I just saved myself 75% off retail just because I planned ahead. 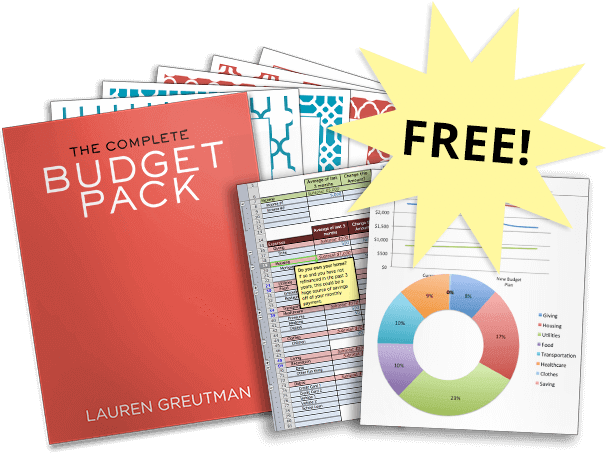 I know I talk to you about budgeting all the time, and you may be getting sick of it by now. BUT your financial freedom is attained through your budget! Stress around Christmas used to be the norm for me as I tried to come up with the money for gifts. But I would become so goal-oriented in November and December that I would make it happen. What if I budgeted and became focused and goal-oriented every month like I did every November and December? The stress would be gone! Sticking to a budget is easier when you have a goal in mind. Set mini goals throughout the year and give yourself little rewards for reaching them. When I was getting out of debt I would give myself little rewards for sticking to a month's budget. I talk about my $7 margin of error in my book The Recovering Spender, so I didn’t have much room for error. When I was successful at sticking to a budget, I would take $2 and get a cup of coffee at Dunkin Donuts. It was a small luxury that I didn’t allow myself the rest of the year, and it motivated me to stick to the months budget. By combining these 3 tips for saving money all year long using SmartyPig, drawing names in January, and setting a yearly budget – you should have less money stress next Christmas. Benjamin Franklin once said “If you fail to plan, you are planning to fail.” When it comes to money management all year long, you have to plan in order to be successful. So – let’s all get on track for a successful Christmas 2017. Make sure that you continue to post in our Facebook Group so we can keep the encouragement going in there! Please note that www.laurengreutman.com was compensated by Sallie Mae for the content in this post. However, all opinions expressed below are my own, based on my personal experience with Sallie Mae and Smarty Pig. Any requests for personal information are not associated with Sallie Mae, nor will any information collected be used or maintained by Sallie Mae for the content in this post. However, all opinions expressed below/above are my own, based on my personal experience with Sallie Mae. SmartyPig deposit accounts are offered through Sallie Mae Bank, Member FDIC. Amazon discount amount subject to change. See Smartypig.com for most recent offers. Refer a Friend is currently not available (as of 11/30/16) and will be coming soon. Once it becomes available, current SmartyPig Accountholders can get a reward for each new valid SmartyPig Deposit Accountholder(s) referral via the Refer a Friend Program. To get the $10 reward, you must submit your friend's email address on the form provided on our website or via the link we send you, or your friend must apply using a valid Program code. Your referred friend(s) must open a SmartyPig Account and fund that Account with at least $25 within 30 days of receiving the invite. The $10 reward will be deposited into your SmartyPig Account within 90 days of completion of the requirements. Maximum of 100 referrals per Accountholder, up to $1,000. Sallie Mae reserves the right to revoke, change, or terminate this promotional offer at any time without notice. Other terms and conditions apply. Advertised Interest Rates and Annual Percentage Yields (APY) for the SmartyPig account are variable and may change after account opening, are based on your account balance, apply to personal accounts only, and are accurate as of November 30, 2016. The ongoing APYs and Interest Rates associated with different account balances are: If your daily balance is more than $0 but $2,500 or less the interest rate paid on the entire balance in your account will be 0.80% with an annual percentage yield of 0.80%. If your daily balance is more than $2,500 but $10,000 or less the interest rate paid on the entire balance in your account will be 0.85% with an annual percentage yield of 0.85%. If your daily balance is more than $10,000 but $50,000 or less the interest rate paid on the entire balance in your account will be 0.85% with an annual percentage yield of 0.85%. If your daily balance is more than $50,000 the interest rate paid on the entire balance in your account will be 0.90% with an annual percentage yield of 0.90%. Fees could reduce earnings. Please refer to the SmartyPig Account Terms and Conditions Agreement for details. Love your tips! I read “Recovering Spender” and since we have gotten our budget and savings built up in just a few short months! We have been saving for Christmas since we were first married 16 years ago. Our bank offers an old fashion holiday club which automatically transfers money to an account. We cannot take money from that account without calling the bank and they only let you take money 3 times a year. The money automatically transfers to our checking in October. This time of year is hard because of all the shopping and I feel like I am just spending and spending, but then I remember we saved up for everything Christmas related (we include the cards, stamps, tree, decorations, gifts for everyone, tips, and donations). It is so great! If it’s online…how do you withdrawal money from it?